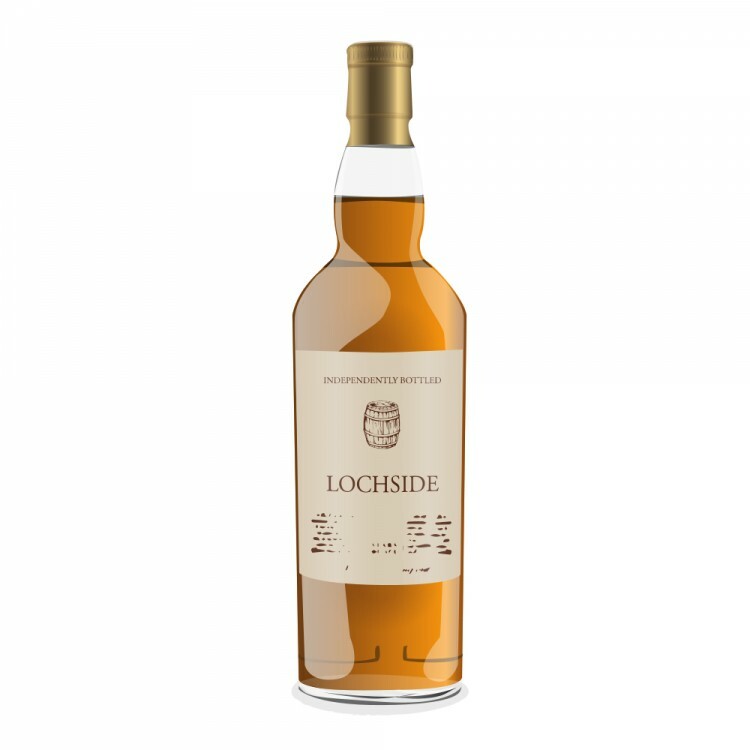 Lochside distillery was located north of Montrose in the Eastern Highlands and began its life as a beer brewery. In 1957 it was rebuilt into a malt and grain whisky distillery by Macnab Distilleries (the Coffey still that produced the grain whisky was removed in 1973). Lochside was acquired in 1973 by a company named Destilerías y Crianzas del Whisky (DYC) that was part of Pedro Domecq sherry. They were in turn purchased by British drinks company Allied Distillers in 1992 to form Allied Domecq, who were to be acquired by Pernod Ricard in 2005. In 1992 the distillery was mothballed and in 1997 all the equipment and stock were removed. All distillery buildings were demolished in 2005. This particular expression was distilled on 23 February 1981 and bottled by Blackadder from cask #617 in June 2009. My review refers to bottle #168 of a total outturn of 202. The nose is light and very fruity. I detected plenty of pineapple notes, together with lemons, oranges and vanilla. Some cereal flavours lurked in the background. As mentioned this was very light despite the onrush of fruity flavours, so much so that I did not feel like adding water. The palate is full-bodied and again very fruity. Now there are flavours of pineapple, grapefruit, and lots of lemons. Wood spice is there but not overbearing. The finish is of medium length, grassy and dry. Some wood spice and notes of oranges round this one off. This was my very first Lochside and I was amazed by the brilliant fruitiness on both nose and palate! So far Caperdonich had been my favourite when it came to pineapple and grapefruit flavours in single malt whisky, but now I might change my opinion. A great Blackadder bottling from a probably underrated distillery that deserves a wider audience.